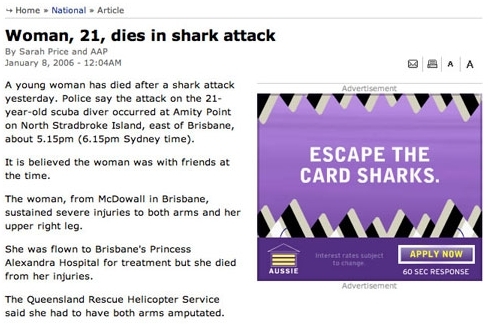 Contextual advertising is so much fun, especially when it works so well such as in this placement of a credit card company's banner within a Sydney Morning Herald article about a woman dying from a shark attack. Credit card sharks need not apply. Somebody needs to tweak a few algorithms.